San Diego Home Sales website search offers all El Cajon homes, condos and foreclosures for sale. You are able to get new property listings daily that meet your search criteria. 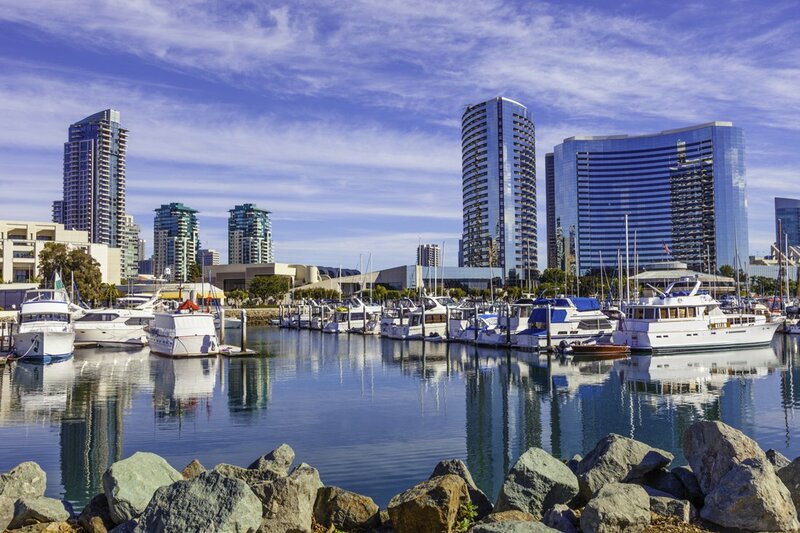 The largest city in the so-called East County region of San Diego, El Cajon, California, is home to a population of around 100,000. It lies just off Interstate 8, about 15 miles east of downtown San Diego. The community is situated in a valley among mountains, which is where it got its named, which means "the box" in Spanish. The community makes up an area of about 15 square miles. El Cajon was incorporated as a city in 1912 after being settled from a Mexican land grant originally made in 1845 to Maria Antonia Estudillo named Rancho El Cajon. The community had a median household income measured at the 2000 census at around $36,000. That figure had risen to around $48,000 by 2005, according to a San Diego Association of Governments estimated. In 2000, it was also home to a high population living under the poverty level, with almost 17% of the population below the poverty line, including 23% of children. As of 2009, the city's top 10 employers, all of which have at least 300 employees, were: the Grossmont–Cuyamaca Community College District, GKN Aerospace Chemtronics, the city of El Cajon, Coit Cleaners, Windowmaster, Cass Construction, the Grossmont Union High School District, Sears, the Judicial Council of California and the Eldorado Care Center. The Grossmont Hospital provides medical care. The city has almost two dozen elementary schools, six middle schools, and six high schools. Additionally there are three higher education institutions: Grossmont College, Cuyamaca College and the San Diego Christian College. Attractions in or nearby El Cajon include the Singing Hills Golf Course, Rancho San Diego Golf Course, Steele Canyon County Park, Mission Trails Regional Park, the Grossmont Shopping Center. 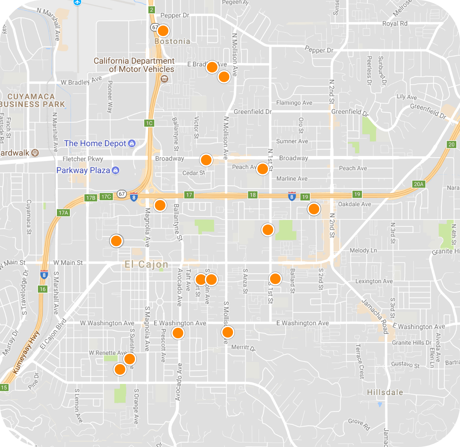 El Cajon itself has 17 parks, seven community recreation centers, two libraries, a performing arts center and 65 churches.